Box of “Valet” Auto Strop Razor Blades. 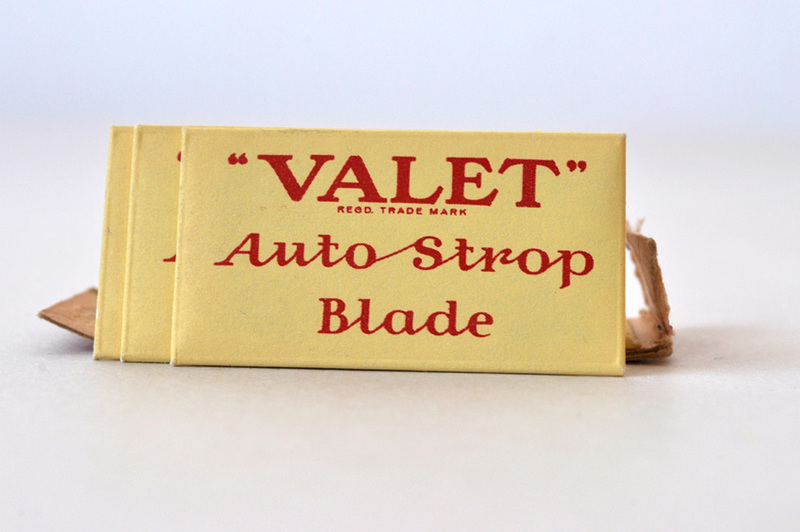 Made by the manufacturers of the Valet Auto Strop Safety Razor. 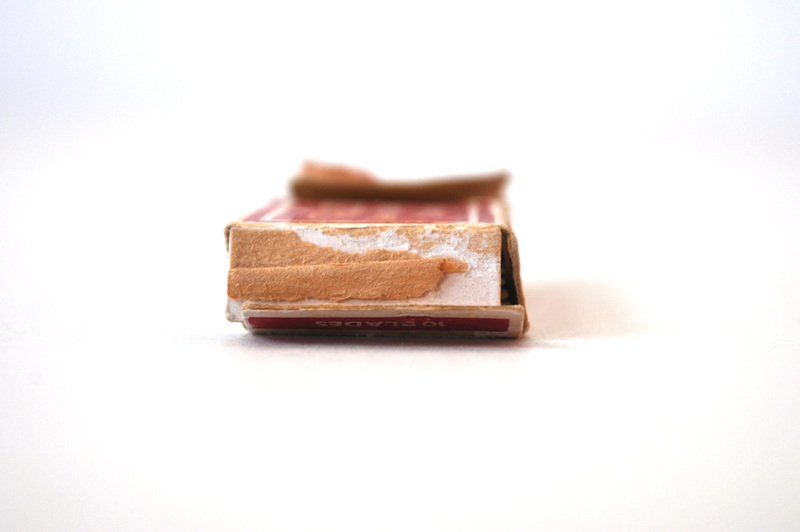 Blades still in their original miniature sweet yellow envelopes. Original cost: 25P. There is an address on the price label. Thanks to g)o000000glitis, I can feed my obsessive streak and find the exact address. 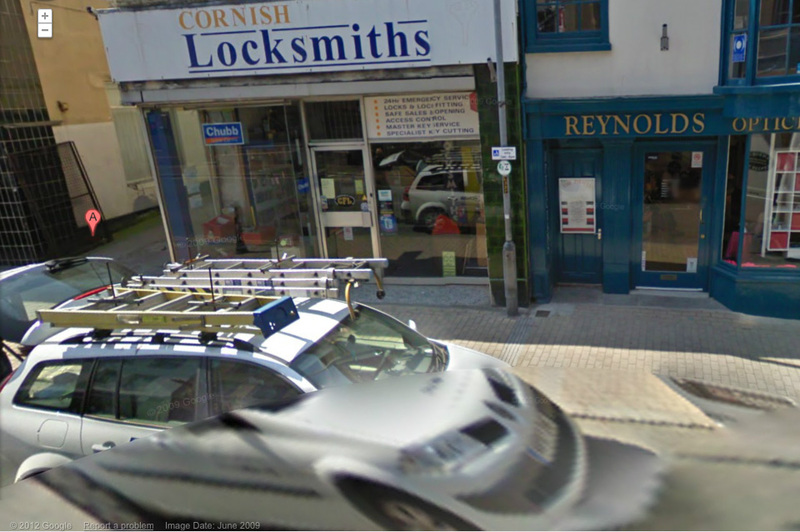 It is a locksmith’s. Perhaps it was a quaint pharmacy, with the look and feel of the optician’s next store. The shop was called “Hope-Smith Chemists” when a box of razor blades cost 25p. I wonder how much that translates to today? Status: Borrowed from Mr. OP on condition I absolutely did not open one of the little envelopes. Precious as they are, I was true to my word, and the crumbling box has been returned safely to its place on the shelf. Alt title: Untitled Object No. 246 For Storing Sharp Visions. The customary shout out to Richard, and John, for inspiring the Alt-Title Untitled post folly, and to Ben for the jokes format. The little red box pairs nicely with your Steel Cobblers’ Rivets box. The strung-together font is quite intriguing here; as is “Valet” in quotes. Are you uncovering extinct fonts? I’d guess at about £2.50 for those (if they are available nowadays). Love the photographs. Thanks Richard for the info and glad you like the pix!